When you have decided to marry that single most important woman in your life, there are a lot of things which you start to take responsibility for. These are all done out of love for her. But when you are getting married to her in the wedding, you will be expected to make a speech which should highlight all the funny things that you have shared with her and should also convey how much you love her. But most guys are not able to do this as they bungle up the perfect groom speech. There are some tips which should be followed so that you can come up with the perfect speech which will not only make the bride love you even more but also insert a few light moments into the wedding event. First and foremost, think about the audience who will be present in the wedding. Primarily, it will consist of your family, your bride and her family. So as a result, you should prepare a speech which will be directed at them, and should be able to convey to them your love and appreciation for always being there with you. The next step to keep in mind is to think the speech through. Do not just write whatever comes into your mind. Have a clear idea of how the speech is going to start and where is it meant to move. This will help you to connect relative incidents or jokes in the precise manner and thus, will be interesting for everyone else present at the wedding. The next step is to keep it short. No matter, how interesting the speech is, every speech tends to sink if it is more than 3-4 minutes long. People always get bored with the length of the dialogue if it is more than 3 minutes. If you are not sure how long the speech is going to be then, time the entire speech when you practice before the wedding. Before ending the speech, do not forget to thank every person who has helped with the wedding, no matter how small the contribution may be. This will put a smile on their face. Finally, before the wedding, always confer with the father of the bride and the best man at your wedding to find out whether your speeches are overlapping. Same words and lines should be avoided at all costs as this will be highly embarrassing for everyone involved. All in all, the speech should be short and filled with a few funny anecdotes. It should have its share of romantic words to make your bride feel loved. You should thank everyone who is involved in the wedding and finally, do not add any words or lines which would embarrass anyone. A wedding is one of the greatest occasions in a person’s life. Everyone wants to make it their most special day since this is the beginning of a new chapter in their lives. 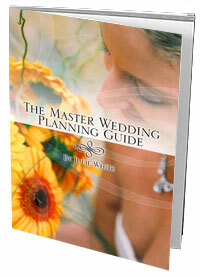 There are a whole lot of aspects which need to be taken care of while planning your own wedding. Right from the flowers to the dress to the cake, everything needs to be perfect since you won’t get a second chance with this. More importantly for the bride, the wedding gown needs to be perfect as is the décor of the party. Though there are a lot of options available to take your pick, of a wedding planner, from, it is always better and more fun to do all the planning yourself. Though it might really get stressful during the course of the last few months before the wedding, it will all be worth it if the entire event is able to bring the best out of everyone present for the same. Always start with the parts which do not require much time to sort out. For instance, the florist needs to be sorted out as early as possible. First decide on the type of flowers you would want for the wedding and the amount of the same. Choose the flowers keeping in mind the theme of the marriage. Next choose the florist after checking a few options. Though there might be a florist who might offer you lower rates than the previous one, it is always better to opt for the one who looks more reliable. After all, you can’t be running around on your wedding day for someone to deliver the flowers. Next is the wedding gown for the event. Though most women know already which dress they would like to wear on their special day, it does not hurt to file around a few stores. There are a number of stores which specialize in wedding gowns during the marriage season. If you find them too expensive, then there is always the option of opting for last year’s fashion since these would be available cheaply off a sale counter. In addition to this, make sure that you get the bridesmaids to dress accordingly. Have a set of accessories which would highlight the dress. Finally, every marriage needs to have some memories which can be preserved. This is where the photographers step in. There is always the doubt whether you should hire a professional photographer or ask a relative to click the pictures. Though it would be a little expensive, it is always better to choose the first option since it does not do much to your memories if the next day you wake up to see that you are nowhere to be found in the vows frame! Copyright © 2013 · All Rights Reserved.